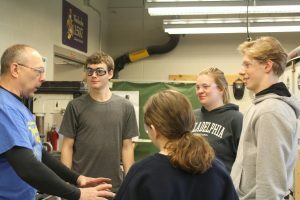 During Week 5, the team has been working very hard to finish the robot on time. Since we lost three days last week, everyone is chipping in as much as they can to help make up the time we lost. Our programmers have been pretty productive this week. Although they can’t program the robot quite yet, they programmed the LED lights so the robot will be able to track the alignment lines on the field. 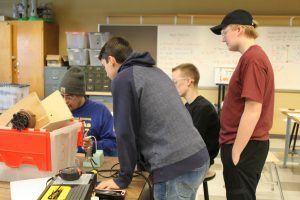 They also finished programming all of the controls on the Xbox controllers that the drive team uses to control all of the robots functions. 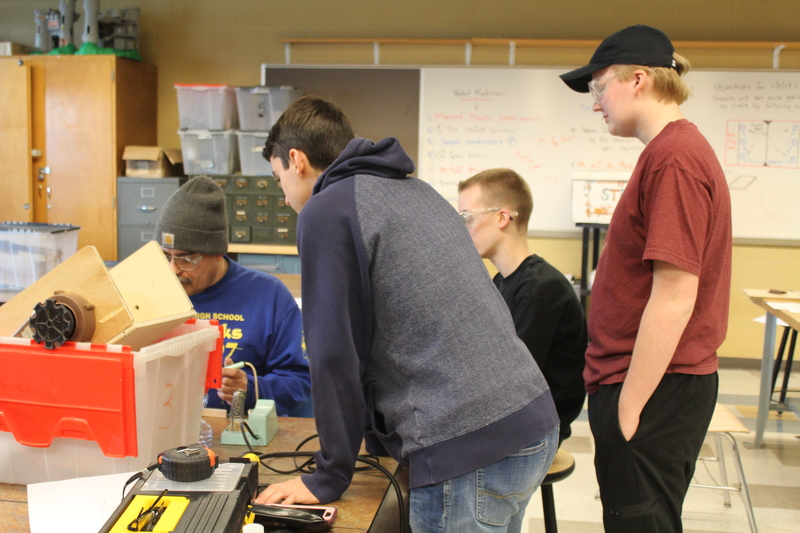 The build team, which is led by Ian and Jeremy, continued to work on our robot. The pneumatic cylinders that will help us climb and descend the different stages in the habitat zone have been attached to the robot, along with the wheels. We have come up with a great way to collect and score the hatches and cargo, and have started to finish the final details. The CAD team worked on redesigning a few of the smaller components of the robot and are super close to finishing the final drawing. Mary and Katie have finished and submitted the Chairman’s essay and short answer questions, along with the Deans List and Woodie Flowers presentations. This year we got our idea for Chairman’s from a dream Katie had, and we are very excited to present it this year at the competitions. Our team currently doesn’t have a name for our robot, but we have started to brainstorm some great ideas!